For today, it’s a player request – and a general example of leveling an Eclipse d20 character, as well as a couple of martial arts. Yuki Tendo has now reached level seven, and so has another 58 CP – forty-eight for two levels, six for her level six bonus feat, and four from her duties. She also gains +1 point of Dex and +10 skill points (six from her intelligence and four from Fast Learner). Unfortunately, she’s at the limit for Innate Enchantment – and so her options for upgrades are relatively limited. First up are a few basics – the things that any advancing character should get. +1 BAB (6 CP). This is kind of expected (as well as being required by the basic adventurer template), but – at least at the moment – Yuki is NOT a frontline fighter. +1 to Fortitude Saves (3 CP). Another requirement of the basic adventurer template. +1d6 (2 CP) and 1d4 (0 CP) Hit Dice. With Con 14 and rolls of 5 and 3, that’s another 12 HP. +4 Skill Points (for a total of 14) (4 CP). Yuki’s gotten a bit tougher, thanks to all the lethal combat she’s been entangled with recently. Most of her superheroic opponents tended to stick to less deadly weaponry. Damage Reduction 2/-, Specialized/only versus physical attacks (1 CP). Due to her constant practice, and thanks to operating in a far more fundamentally magical world than she is used to, Yuki’s powers of ice (and ninja trickery) have developed rapidly. This is a big one; it jumps her tricks with ice and “ninja supplies” from caster level three to caster level ten – making them vastly more potent. +7 BCL, Specialized and Corrupted / only for use in boosting Innate Enchantment Greater Invocations (14 CP). Thanks to her own supernaturally-binding blood, and it’s interaction with the Dimensional Dragon who was forming when she came through the nexus, Yuki now has powerful links with her new companions – allowing them to use their magic to help her out when she needs it. 3x Mystic Link (9 CP) with Communications (3 CP) and Power (Specialized, does not transmit effects from her, 1 CP) links. Yuki tends to dive into combat without considering her own safety. Fortunately, she’s learned to draw extra vitality from her power links – an effect which can keep her alive long after she ought to go down. Grant of Aid with +6 Bonus Uses, Specialized for Double Effect (uses) / only heals normal hit point damage (currently 18 times per day) (15 CP). The extra point of Dexterity is being burned on the Blood of the Dragon to get her Winter Adept powers up to level three spell effects – allowing her to create greater effects (no cost). Of those fourteen skill points, four will definitely be going into upgrading her Adept skills (Hide, Jujitsu, Move Silently, and Tumble) by +2 each. As for the rest… three into Disable Device, two into Knowledge/Local, two into Knowledge/Dungeoneering, and one each into Sleight of Hand, Craft/Alchemy, Ninjitsu, and Blade Expert. This classic martial art is primarily based on holds, throws, and evasions – but the fact that this particular versions is from a superhero world, and thus continues right on up into supernatural powers, does change things just a bit. It still, however, focuses primarily on unarmed holds and throws. Basic Techniques: Attack 1, Defenses 4, Power 1, Strike, Synergy/Heal. Advanced and Master Techniques: Crippling, Improved Trip, Instant Stand, and Mighty Blow. Occult Techniques: Healing Hand, Inner Strength, Iron Skin, and Ki Focus (Dex). 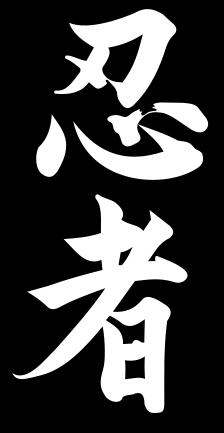 Known Techniques (8): Defenses 2, Strike, Improved Trip, Instant Stand, Mighty Blow, Inner Strength and Iron Skin. Ninjitsu – at least in Yuki’s family variant – is less of an independent martial art and more of a way of turning martial art skills to the purposes of stealth. Basic Techniques: Synergy (Balance, Bluff, Climb, Escape Artist, Hide, Move Silently, Sleight of Hand) and Toughness 1. Advanced and Master Techniques: Blind Fight, Instant Stand, Mind Like Moon, and Mobility. Known Techniques (4): Synergy (Hide, Move Silently, and Sleight of Hand), Mind Like Moon. Blade Expert is covered in the Compiled Martial Arts list.